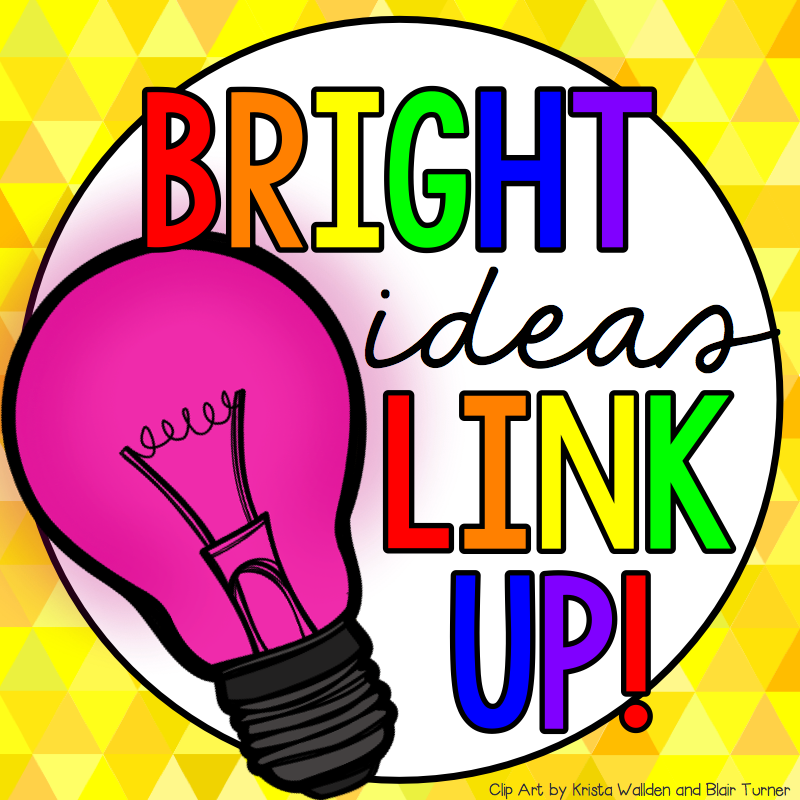 I'm so excited to be participating in February's fabulous blog hop, a monthly event dreamed up by fellow Canadian edublogger Shelley Gray at Teaching in the Early Years. Here's my "bright idea" which relates to technology this month. In my school district, students are invited, even encouraged to bring... I'd say even strongly encouraged to provide their own technology to class. Of course the school board sees this as a win-win, because many students DO already have technology that would be appropriate for educational use and one would assume that if it's the learner's own tablet, laptop or smart phone, then they would already be comfortable using it. A lot of flexibility, open-mindedness about process, and planning around alternative methods to achieve the same outcomes are needed in this situation, I've found. I'm getting accustomed to that aspect, but I still find starting up a new project or assignment can be a little hectic, as multiple sets of instructions - or overly vague "one size fits all" instructions have to be given. So, I was thinking... what if, for the purposes of such work, my student groupings were temporarily rearranged to suit me? I believe in flexible groupings, with different sizes and various compositions based on the activity at hand. So this is really just adding one more possibility to my procedures. If all the students with android phones are sitting in one area, and all the iPad users in another, with our laptop owners at a third group of desks, then they can more easily help one another through any tricky app downloading or sign-in processes that may vary by platform. What about the kids who don't have a device? 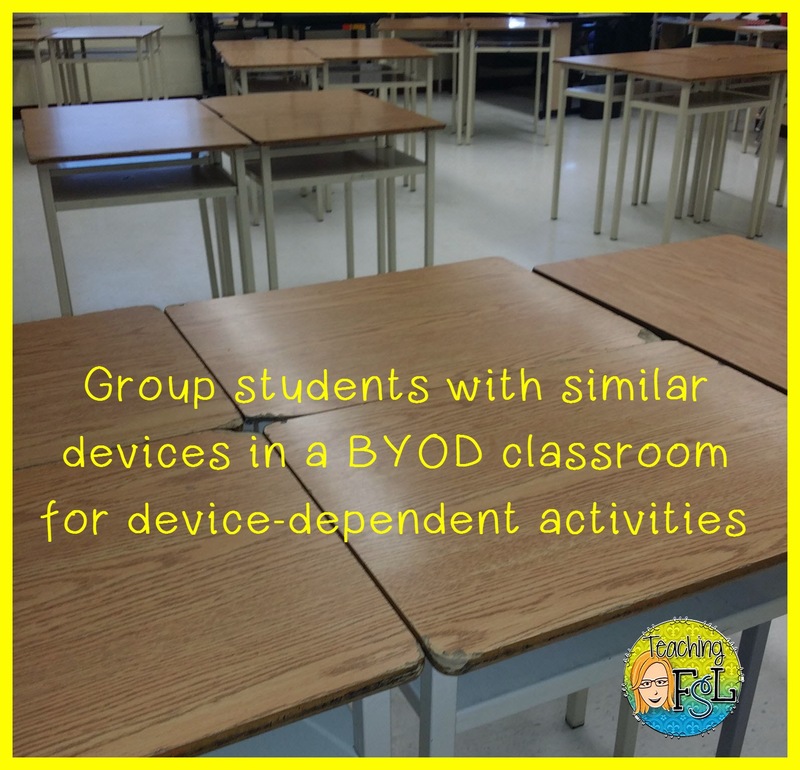 Either they can use a school supplied one that fits into the established groups, or there can be a section of the class for those using low-tech options. In case you're thinking that sounds a little bit uncomfortable, segregating students by the "brand" of technology they can bring themselves, let me just add that I wouldn't keep student groups like this for long. Maybe just a period or for short activities that already involve students moving about the learning space, it could be an even more brief time frame. Possibly just the first 5 or 10 minutes of an activity. If you like to use multiple groupings like me, you could even have little table signs ready or posted lists of seating with some of your most used arrangements ready for students or even a supply teacher to use as a handy reference. I hope you liked this idea! If so, be sure to follow me on Pinterest, Twitter and TpT for lots of other great stuff! I love to share! Also, check out some of the other awesome promo-free blog posts linked up below.